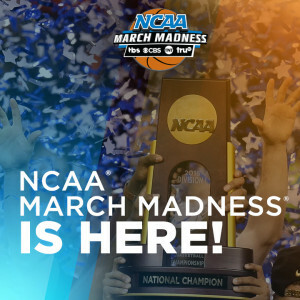 The 2016 NCAA Men’s Basketball Tournament begins in earnest Thursday and Friday, with 32 games spread across four TV channels over two days. Here’s a full schedule of the games. And below is a roundup of the different ways you can keep up with the action. There’s a lot of ’em! The channel numbers for CBS, TNT, TBS and TruTV vary from town to town in TDS territory, so check your channel lineup to be sure you know where those channels live on your TV. On the Internet, March Madness Live is the NCAA’s one-stop shop for streaming the games. All games broadcast on CBS are free to watch for anyone. Games on TBS, TNT and TruTV require TDS customers to log in using their TDS email addresses and passwords. The content can be viewed via desktop, iOS, Android and Windows phone and tablet apps. This year, the tournament will also be accessible via Amazon Fire TV, Apple TV, Roku and Google Chromecast. You can read more about all the viewing options for the tournament on the NCAA’s website and in this article from CBS Sports. This Lifehacker guide to streaming the games across all devices looks pretty helpful, too. Once you’ve got all that squared away, you’ll just need the remote control, your bracket, some snacks and drinks, and a doctor’s note to excuse you from work on Thursday and Friday. Sorry, we can’t help you with that last one.